The year 2017 is a very special year in the shared history of India and United Kingdom. This year we celebrate and remember the 70 progressive years of our changed relationship. In doing so we look ahead to the many decades of further strengthening this friendship but also take the opportunity to reflect upon the past, especially that which has been largely ignored. The Indian contribution during the First World War has mostly been a bitty memory of fading pictures and medallions left to the confines of sections of museums and private collectors. I am grateful to Golden Tours Foundation and Heritage Lottery Fund for having brought this aspect of history alive in the form of oral histories, stories and narration of various elements of the First World War, not commonly known to members of public. Often in remembering history of war, the focus remains largely on the military aspect of it. What makes this e-book unique is its focus on the various aspects of the war including perceptions of young people, personal accounts of families of those who served in the Great War, perspectives of academics, historians and practitioners. The project itself has been organised in a manner that it portrays the perspectives of individuals from varying backgrounds and age groups, especially young people from both India and the UK. I am also pleased to read the chapter on the non- military Indian contribution in the First World War in this eBook which makes it a more accurate remembrance of the First World War from the Indian perspective. History books are usually long and it needs a certain discipline to read and absorb them. However, I must congratulate Nitin Palan, Chairman, Golden Tours Foundation for having thought of using the modern-day technology to make history more accessible and easier to absorb. The way it is laid out and structured, each chapter is a stand-alone section that has short videos to explain the subject matter as also links to further readings. The lucidity and ease of understanding makes the sections readily accessible for schools and young people as part of their readings on First World War. 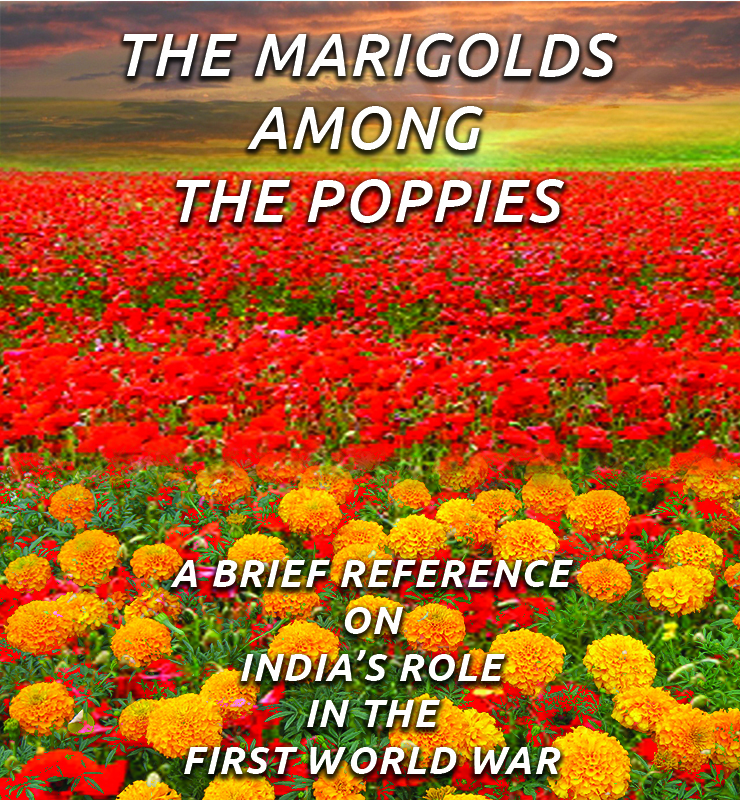 I present to the reader this eBook with pride and hope that the pages ahead will be shared and disseminated widely and that this eBook will continue to grow into a library of resources on an accurate understanding of the Indian contribution during the First World War. H.E. Mr. Y K Sinha, Hon’ble High Commissioner of India graduated with Honours in History from St. Stephen’s College, Delhi and also did his Masters in History from Delhi University. He joined the Indian Foreign Service in 1981. 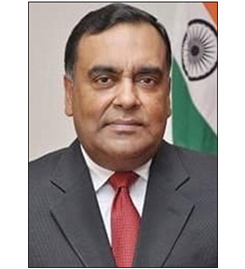 In a career of over 36 years he has worked in the Ministry of External Affairs, New Delhi and in Indian diplomatic missions in South Asia, the Middle East, Europe, South America and the Permanent Mission of India at the United Nations in New York. One of our contributing authors, a noted scholar, commented in an interview ‘history is messy’. I find the more of it I read, the less is clear. My journey began with a simple inquisitiveness about the role that Indian soldiers played in the history of Great Britain. It was very clear that there were several stories waiting to be told, several fallen heroes that needed to be remembered. In this centenary remembrance of the First Great War, the fact that there was hardly any institutional memory or shared remembrance of the role of Indian soldiers worried me. In April 2016, we launched the 18-month project, “Remembering Indian Soldiers in WW1” supported by the Heritage Lottery Fund. This project is only the beginning of the work that will unfold in months and years to follow. For Golden Tours Foundation, it is only the first step to meet, understand, recognise, signpost people’s efforts and to begin the formation of an eMuseum through our website, India1914.com. This project is unique in its very genesis and constitution. Instead of being directed by the institutions or researchers, the project’s strength has been its evolution through the contributions of many communities. The website is only one of the many vehicles of signposting, sharing and disseminating the knowledge gathered as part of this project. We have seen several individuals discover their own personal history – these untold, unheard and hidden stories have been brought alive via personal recollections of families of many previously lost war heroes. 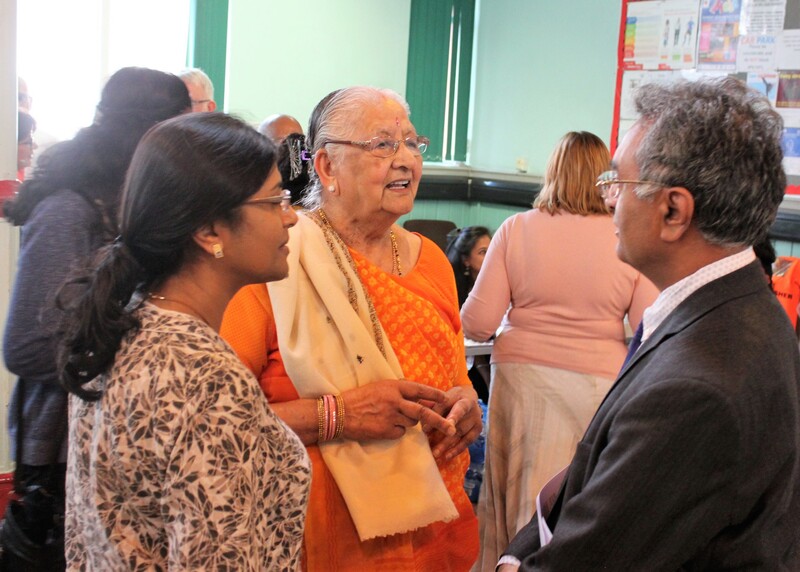 Seminars, workshops, word-of-mouth, exhibitions, postcards, schools and community outreach are all elements of a project which has brought the remembrance of the Indian soldiers during World War 1 into centre stage in the UK. This project’s ethos is to keep our history important to us and relevant to our progeny. We must realise that today’s actions are tomorrow’s history; if we do not set an example today to preserve our heritage, tomorrow our children and their children may turn around and say that we were not worth remembering! The journey has just begun and the initiative has touched the lives of many individuals, communities, schools and museums via personal outreach by individuals brought together via the project. Seeing the results of these efforts has frequently touched me. The project has evolved organically and will continue to grow and touch lives, making history relevant today and tomorrow. There is a need for a permanent shared remembrance exhibition and recognition within institutions and schools’ curricula. Golden Tours Foundation is committed to ensure that this shared remembrance is facilitated at the grassroots level across the UK. As the Chair of the Golden Tours Foundation I am proud to present this eBook and hope that you enjoy learning more about our shared history. 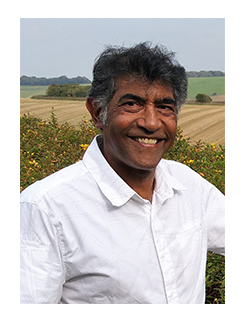 Nitin Palan MBE is the founder of Golden Tours, the UK’s foremost sightseeing company established in 1984. Leveraging the success of the company, Nitin Palan created the Golden Tours Foundation, a charitable organisation offering life-changing opportunities for young people to attempt their aspirations. GTF has a broad spectrum of charitable aims built on the philosophy of personal, social and economic growth through education. In November 2016, the Golden Tours Foundation and the Heritage Lottery Fund launched a project to raise the awareness of India’s contribution to the First World War to coincide with centenary remembrance events. ‘Remembering Indian Soldiers in WW1’ had three high-level objectives. Use events and exhibitions to build awareness of the contributions made by Indian soldiers in WW1. Engage with communities and involve old and young people in the project, capturing stories from historians and the population at large and recirculating these into schools and local workshops. Leave a legacy of the project through a net-presence that would serve as an easy online reference for the future. Our events and exhibitions have seen facilities filled with young and old, politicians, distinguished military, academics and neighbourhoods listen to presentations on varied subjects ranging from personal remembrance to scholarly research. In Leicester, people of different cultures and different back grounds enjoyed our open forum format to discuss and debate the lessons learned or not, from war. In Harrow, we launched multi-faith week with a program of academic and political presentations on the war and stories of heroism and sacrifice. At the Diwali Festival in London, thousands walked through our display and learned more about the Indian story and frequently shared their own. Our community engagement connected with young professionals in London, schools in Harrow and memorable speakers across the UK and INDIA! We involved noted speakers from the Royal Pavilion Museum in Brighton to broadcast a webinar to a London secondary school and schools in India to show both continents a little-known history that connects Brighton to India forever. We’ve captured personal stories from real people as well as interviews with noted historians and academics. Besides sharing this with schools and workshops, all this is captured in our on-line project archive for the future. The electronic legacy available from our website [India1914.com] includes hours of interviews, videos of our events and our webinar ‘The Unexpected Connection between Brighton, Indian Soldiers and The First World War’. 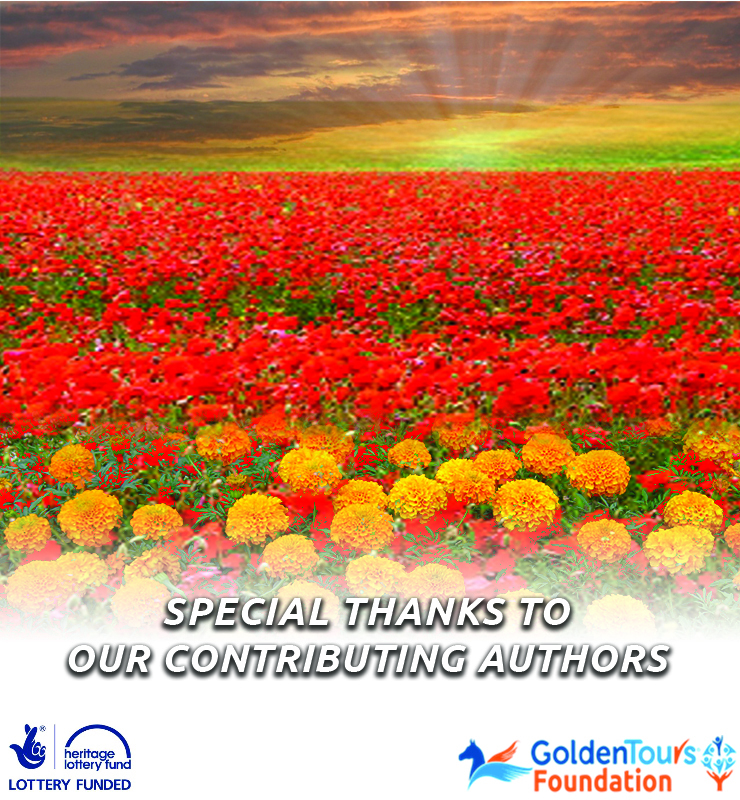 Our lasting contribution also includes our proudest achievement, this eBook Marigolds Among the Poppies, which we hope serves as a valuable online reference for future generations. When we decided to create this book rather than adopt previous works, we had a clear idea about what the result would NOT be. It was never intended to be another long, complex story of military strategy and battle history. We have tried to capture the many human facets of the Indian effort. Chapter 9 – ‘Cultural Encounters in Europe’ tells stories of Indians and Europeans meeting one another for the first time. We offer insights into the many people supporting the war effort that were not soldiers in Chapter 7 - ‘The Unremembered’. We consider the war’s impact on women in India and many other original viewpoints. I’m comfortable that the project is a success by every technical measure. However, if you’re reading this, you have the final vote. As the project manager I hope you enjoy the result as much I did the project. Jane Roemer is a Project Consultant with a Master’s Degree in Museum and Gallery Management. 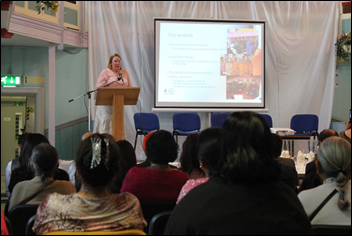 She has over twenty years’ senior management experience and project managed several high-profile historical programmes and multi-faith initiatives helping not-for-profit enterprises, charities and small business. When Britain went to war in 1914, both its strength and weakness was its role as a global empire. While it could draw on the resources of much of the world, its scattered possessions made concentrating its military effort in Europe difficult. Indeed, when the Foreign Secretary, Sir Edward Grey, addressed Parliament on 3 August 1914, he saw the coming war as maritime – at least for Britain. Grey suggested that the army’s British Expeditionary Force (BEF) would protect the colonies rather than go to France and Flanders. The BEF was originally formed by the Secretary of War, Richard Burdon Haldane, for imperial defence, and particularly to protect India should Russia invade. However, the Anglo-Russian Entente of 1907 seemingly removed that danger. Thereafter, those in the newly formed Imperial General Staff who wanted to ready the army for major European, rather than colonial, war found themselves in a much stronger position to argue their case. One of these was Douglas Haig, the Director of Staff Duties and future Commander-in-Chief of the BEF. Appointed the first Chief of the Indian General Staff in 1909, he proposed to ready the Indian Army for imperial service as opposed to employment specifically in India. For the Government of India, the legacy of 1857 cast a long shadow and the task of the army in India was internal security. However, the idea was not new; Indian soldiers had served in many locations outside India during the preceding century but almost exclusively east of Suez. Haig went much further, setting about the creation of an Indian Expeditionary Force to go to Europe. In doing so he incurred the ire of the Viceroy, Lord Hardinge, who ordered all such plans be destroyed. In 1914 the Indian Army was not organised or equipped to meet a European opponent. The lack of readiness for a European continental war was also apparent in the BEF. The Royal Navy was the empire’s principal weapon against Germany, and the one to which Britain’s allies primarily looked. The force which landed in France in August 1914 mustered less than 100,000 men, compared with mass conscript armies of nearly 3 million. Britain needed more men, and India was better able to meet that need and to do so more quickly than any other country of the empire. In September 1914 Indian Expeditionary Force A, drawn from the ‘martial races of India’ (the vocabulary of the time), arrived at Marseilles and formed an Indian corps and a cavalry corps within the BEF. However, the needs of North-Western Europe had not removed the wider security concerns of the empire. Not least through its alliance with the Ottoman Empire, Germany sought to carry the war across Asia and North Africa. To meet this threat, Britain staged a series of campaigns designed to confine the war to Europe. India was called on to create five more expeditionary forces for use in East Africa, Egypt, Mesopotamia and – in 1915 – Gallipoli. Except for the Gallipoli force, these soldiers were drawn from troops deemed to be of lesser quality, often insufficiently trained and inadequately equipped. It would take India, like Britain itself, about two years to mobilise fully for global war. 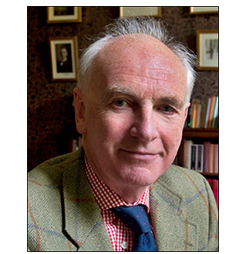 Professor Sir Hew Strachan Hew Strachan, FBA, FRSE, Hon. D. Univ (Paisley) has been Professor of International Relations at the University of St Andrews since 2015. His posts and honours over a quarter of a century, too numerous to list, include being named by Foreign Policy Magazine among the year’s top global thinkers in 2012 and in 2013 receiving his knighthood. He is a recognised authority and author on military strategy and particularly First World War History. 3. Why Did India Fight? The short answer is that she had no choice. In 1914 India was a part of the British Empire, and when the government in London declared war in the name of the King-Emperor every country in the Empire was automatically at war, not just the United Kingdom. But it goes much deeper than that. India wanted self-rule or Dominion status within the Empire, similar to Australia, South Africa, Canada and New Zealand. Moderate Indian political leaders such as Gandhi, Tilak and Jinnah, as well as a number of the semi-autonomous Indian Princes, recognised that if India desired greater responsibility and political autonomy, it must also be willing to share in the burden of imperial defence. It is important to remember that the then small British Army fought regular colonial campaigns, but it was in no sense a major European land power – the implement of British supremacy was the enormous Royal Navy. The British Army that deployed to the western front was simply too small for the task at hand. It is also important to remember that of the dominion and colonial countries, India was the only one with a trained regular army ready to take to the field. However, in the years preceding the war pressure had mounted from the Viceroy to reduce costs and the number of regiments in the army. Senior military figures under the Chief of the General Staff in India, General Sir Douglas Haig, resisted such moves and quietly set about planning for possible Imperial support from India in the event of war. However, the plans had not been fully actioned before war was declared. The Indian Army only had mountain artillery, very few machine guns and out of date arms and equipment so there was much catching up to do when the war broke out. The Indian Army was an all-volunteer force, but the vast majority of Indian troops were drawn from the north and north-west of the subcontinent - the provinces of Punjab, the North-West Frontier and the independent Kingdom of Nepal. This regional bias was based on the 1880s 'martial races' theory, a belief that some Indians were inherently more warlike than others. 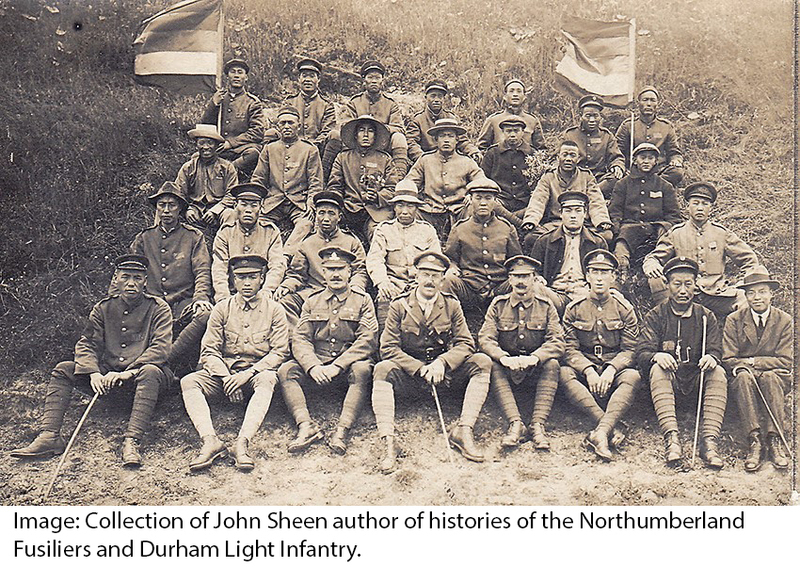 Some regiments, such as the Gurkhas, were of the same denomination and race; some regiments had mixed class companies, though the majority of regiments had an overall mixed composition but of single class companies. All bonded and fought well together, bound by the honour or izzat of the regiment. As the war dragged on, however, a degree of ‘war weariness’ in the traditional recruiting grounds had led to a necessary expansion, so that others were brought into the army from classes/castes not previously considered for recruits. And yet for all this expansion the Indian Army never introduced conscription – all recruits were volunteers and the Indian Army was the largest volunteer army the world has ever seen. For the Indian Army this truly was a world war, with Indian Expeditionary Forces being sent to all theatres. Tony McClenaghan served in the British Army for 12 years before graduating from Lancaster University. 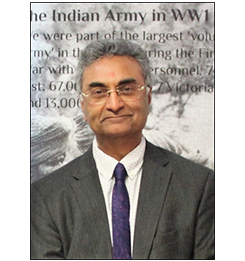 He has written two books on the military history of the Indian Princely States and has been Secretary /Editor and now Secretary /Treasurer of the Indian Military Historical Society since the mid-1980s. 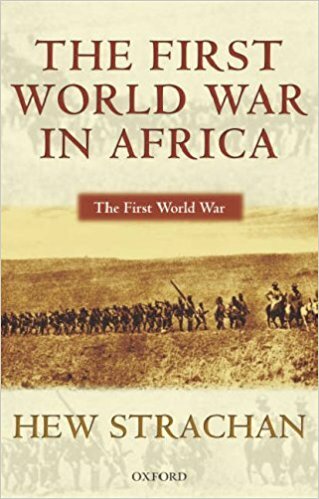 World War 1 was the first truly global conflict with fronts of conflict between aligned enemies on mutiple continents simultaneously. When Britian joined the war in 1914, its professional army of only 750,000 men was small by European standars. 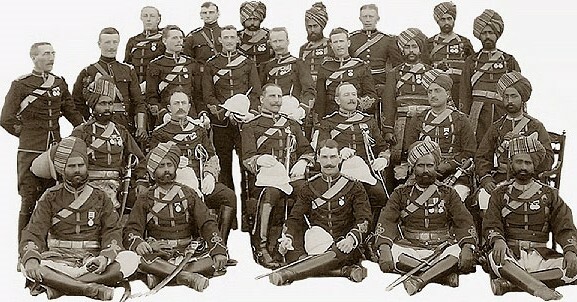 The soldiers of the Indian Army were asked to support the British Empire in multiple theatres of war. Click on the interactive map below to learn more about the different areas of conflict. The history of Brighton’s Royal Pavilion has been varied to say the least. From a flamboyant palace for the Prince Regent to a town council function venue for beauty pageants, civic events and flower shows. The visitor experience of the Royal Pavilion focuses on the history of the building during George IV’s reign as Prince Regent, then King. It has taken many years to restore it to its former Regency glory and the Royal narrative is the main story. However, no part of its history takes people by surprise more than discovering the Pavilion was one of three places in Brighton converted into a temporary military hospital for Indian soldiers during the First World War. Approximately 12,000 Indian soldiers stayed in the city between December 1914 and January 1916, over 2000 in the Royal Pavilion Estate. This important chapter has been an untold episode in the Royal Pavilion itself for years. When standing in the lavish state rooms, painstakingly conserved to the original design of 1823, it is hard to reconcile the hanging dragon chandeliers and sumptuous decorations with the thought of rows of beds filled with wounded soldiers having just come from the horrors of the trenches in France and Belgium. The soldiers themselves commented on their surroundings in letters home. "Everything is such as one would not see, even in a dream. One should regard it as a fairy tale. The heart cannot be satiated with seeing the sights, for there is no other place like this in the world’ Subedar Major Sardar Bahadur Gugan (6th Jats) early 1915." Since 2009 the team at the Royal Pavilion have been working hard to address this. It has taken us on a journey through records at the British Library and the Centre for Armed Forces Historical Research, Delhi, India to conversations with researchers, authors, historians, all of whom contributed to the opening of a gallery within the Royal Pavilion itself in 2010. New displays and galleries are often the end-point of a project, the opportunity to showcase newly uncovered stories and objects. For us, it was the starting point; the chance to say, ‘wow, this happened at the Royal Pavilion over 100 years ago, but does anyone know anymore?’ Where are the records listing the patients; are there any original copies of letters written by the soldiers hospitalised here still kept by families in India and Pakistan? Where did these soldiers come from? What were their lives like back home? Sharing resources and knowledge with others has enabled us to develop further interpretation and today we can offer an audio tour of the Royal Pavilion dedicated to its time as a military hospital. The Pavilion has also been a hub for events such as the Voices of India; the First World War conference (2015), the first Meeting of the Minds initiative (2016) outdoor installations such as Nutkhut’s Dr. Blighty (2016), the running of Brighton Marathon dressed as First World War soldiers by two UK Punjab Heritage Association volunteers (2015). These events help us share this previously hidden story with a much wider, diverse audience and go some way to ensuring it is not forgotten again. 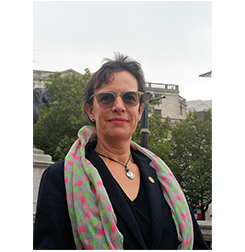 Jody East is Creative Programme Curator, Royal Pavilion & Museums, Brighton & Hove. 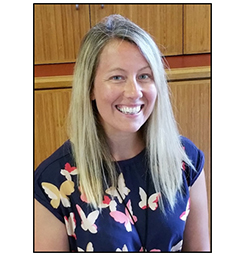 Jody has worked for Royal Pavilion & Museums for 11 years, since graduating with an MA History in 2004. 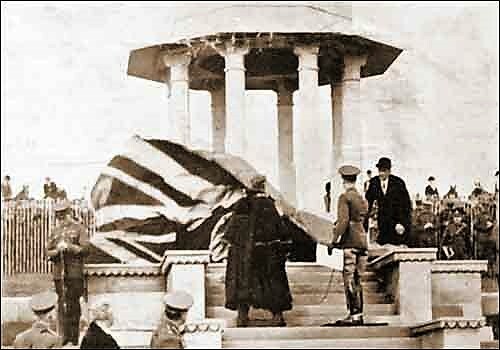 The idea of the Chattri Memorial started taking shape soon after the cremations of the Indian soldiers, specifically of the Hindu and Sikh persuasion, began in Brighton [December 31, 1914]. At the time, the cremation site was an unprepossessing makeshift structure of wooden posts which supported corrugated covering sheets to keep out the rain. However, fortunately for us, one of the Indian Medical Officers with great foresight attached to the Royal Pavilion Hospital, Lieutenant Das Gupta, recognised the significance of the cremations. He approached then Mayor of Brighton, John Otter and suggested that a permanent nishani [memorial] be erected at the site in honour of the soldiers. The Mayor embraced the suggestion wholeheartedly and he, in turn approached the India Office with the idea. They “gave it favourable consideration, as it was felt appropriate to publicly acknowledge the nation’s gratitude to the Indians.” (TOM p170). The Mayor then consulted, Colonel Sir Samuel Swinton Jacob, an eminent architect who had designed numerous buildings in India about a suitable form for a memorial. Sir Samuel sketched out a chhatri, (umbrella), a traditional Indian style of memorial and recommended Mr. E. C. Henriques, a young Indian architect from Bombay (Mumbai) completing his studies in England for the task of undertaking the design. By the end of 1920, the memorial was completed at the spot where the cremations had taken place, but work continued with the planting of thorn trees along four miniature avenues to the four points of the compass leading to the memorial. The final cost of the scheme was £4,964.00. The inscription carved on the memorial plinth, in both English and Hindi, is attributed to Sir John Otter. The Annual Chattri Memorial Service is held on the second Sunday in June and has both military and religious traditions to it where wreaths are laid, the last post is sounded and prayers and hymns are recited in Hindi and Punjabi. The Chattri Memorial is a tribute to all Indian and Nepalese soldiers who made the ultimate sacrifice during the First World War and it particularly remembers the Hindu and Sikh soldiers who were cremated there. The remembrance also includes their 19 Muslim brothers in arms who also died in Brighton and are interred in Brookwood Military Cemetery in Woking. Davinder Dhillon is a passionate campaigner for keeping the legacy of Indian soldiers who fought for freedom alive. He has managed the annual Chattri Memorial Service since 2000 and in July 2017, received the 'Points of Light Award' for his work. More than 1.5 million Indians volunteered to join the Indian Army and served during the First World War. This was the largest voluntary army in the world; a third of whom served as non-combatants, part of World War One’s army of workers. Little is known about these men whose courage and contribution were vital to the war effort, but who never held or fired a gun. Many Indian workers were already integrated into the military structure, and were known in the Indian army as ‘Followers’. They also worked alongside skilled combatant workers, known as Pioneers, Sappers, and Miners. Crucial to the war effort, the Labour Corps and Followers served unarmed. It was the labourers who supplied the army with food and clean water. The labourers carried ammunition to the frontline. They built hospitals and barracks, docks and quays, roads, railways and runways. They dug trenches. They cared for horses and mules, maintained and repaired tanks, fitted electric lights. They carried the wounded and nursed the sick. During World War One, 563,369—more than half a million workers—served as non-combatants in the Indian Army. Most, 474,789, were sent overseas. They travelled to the Western Front (France and Belgium), Mesopotamia (Iraq), Gallipoli (Turkey), Persia (Iran), Dunsterforce (Caucasus), Salonika (Greece), the Middle East, East Africa, the Northwest Frontier, in Afghanistan and even in China (Tsingtao). While most of the Labour Corps were not deployed to the frontline, when they were close they could be caught by medium and long-range enemy artillery and sometimes even gas attacks. There were also many who died during the long journey to the battlefields and most of all from illness during their service, especially the terrible Spanish Flu pandemic and pneumonia. Even when the war stopped, the work of war continued. After the war, labourers remained on the battlefields removing weaponry and ammunition, clearing the debris and the dead, reclaiming the land. Lord Ampthill, the Indian Labour Advisor in France argued in a letter in January 1918 that the physical toll on the Indian Labour Corps was so great that they should be regarded as ‘soldiers’. The Unremembered, World War One’s Army of Workers: The Indian Story The Unremembered project is a call to action to remember the Indian Labour Corps. The project offers a resource pack with in-depth case studies and archive photographs, time lines and maps. Commemoration activities include visiting memorials and graves where noncombatants are buried or commemorated. 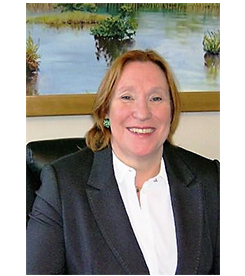 Dr. Virginia Crompton founded Big Ideas in 2015, a community engagement organisation. In 2016, Big Ideas worked in partnership with USI of India and CWGC to develop the India Remembers project. This year Big Ideas has extended this through The Unremembered: The Indian Story, funded by the Department for Communities and Local Government with the High Commission of India to the UK. One of the less popular songs from the Ranbir Kapoor-Nargis Fakhri starrer Rockstar is Katiya karun. The song is a lament of a woman whose husband has gone far away and she spins yarn waiting for him. Similar songs of longing and separation abound in Punjab. What many don’t know is that the trigger for such songs was the First World War. When the men went to war [and nearly 600,000 men from undivided Punjab did sign up] the women were left behind. For many, the wait never ended; for many, the wait ended but their husbands returned as changed men; many women married their brothers-in-law thinking their men were dead, only to see them return after four years; and for many, despair turned into derangement. The Great War saw service of 1.3 million Indians but 74,000 never made it back home. For their families, war was something they couldn’t quite understand. And with the men—the sole earning members in most families—gone, the women suddenly found themselves shouldering all sorts of responsibilities. In Europe, many men after returning from the war found themselves unemployed with their women replacing them in the work force. In India, the women also had to contend with illiteracy and social taboos while fending for their families. A 1916 play on recruitment by Satish Chandra Chattopadhyay, Bengali Platoon [Bengali Polton], highlighted the plight of women grappling with rising household expenses and the pain of parting with their boys. One of the characters has a son named Kebla who goes to the war. She and her daughter-in-law fret about rising prices in a scene. This may sound like a very paternalistic view today [and maybe it was indeed that way], but the plight of the women is reflective of the situation on the ground at that time. 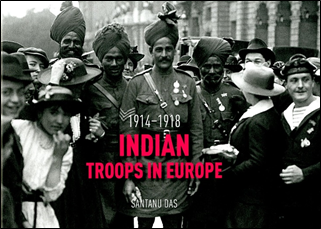 When the Indian soldiers served in Europe, they were amazed by the openness in the society. It was the gori mems [white women] who influenced them majorly. Many letters sent by the sepoys to their families talked about the need for Indian women to be educated and utilise their time better. When many of these men returned home, they ensured that their daughters went to school. But women from the more privileged classes, while not suffering in the war or from it, did a lot for the care of those who suffered. 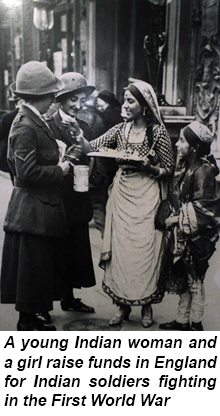 There were some Indian women who took to the streets of London to raise funds for the treatment of Indians wounded in the war. Sarojini Naidu was one of them, who also wrote a poem, The Gift of India for all those Indians who served and died in the Great War. This is one of the many underrated Indian contributions to the Great War. 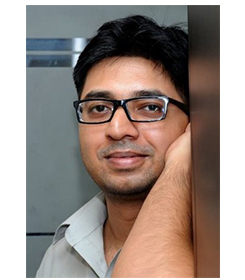 Manimugdha S Sharma is a Delhi-based editor with The Times of India. He loves history and is particularly fascinated by military history. He loves to read about the Mughal and British empires, and writes about the lost military histories of the Indian subcontinent. On 22 October 1914, thirty-six red London buses travelled through an unpaved road, followed by small Indian mule-carts with Punjabi drivers and heaped with ammunition, cooking utensils and other accoutrements: the Indian troops had arrived in the Western Front. Of over one million Indians sent abroad for the war, some 140,000 Indians served in the Western Front between September 1914 and December 1919; of them, the majority were there between September 2014 and December 1915. They took part in offensives including Neuve Chapelle (10-12 March), as well as at Aubers Ridge (9 May), Festubert (15-25 May) and Loos (25 September to mid-October). ‘Bodies upon bodies and blood flowing. God preserve us, what has come to pass’ wrote a sepoy on 18 March 1915. At the same time, at the back of the front, a whole range of cultural encounters – from fleeting glimpses of people at towns, fields and markets to sustained relationships with men and women they billeted with – were taking place. Some sepoys picked up French, including the Picard dialect. In November 1915, the Indian Soldiers’ Fund supplied 30,000 Hindustani-French phrase books. ‘No country is like the country of France’ one opined while another firmly concluded that, after seeing France, there is ‘no need’ to see England. There was initially a sense of ‘Occidental’ ecstasy – ‘We have seen things that our eyes never dreamt of seeing’ – but with time, these responses gradually wore off. Everything – from farming methods to manners and gestures to issues such as gender, education and dignity of labour come up for comment: ’In Europe, sweepers, chamars, bhatiyars, Nawabs, Rajas are all one and sympathise with each other. Here labour is not a disgrace, but a glory’. Inaccurate they may have been about European class hierarchies but not insular, as fresh worlds seem to be opening up in front of their eyes and within their minds. Some men clung to their beliefs, with one particularly religious soul refusing ‘from eating with or from hands’ of the French. But most reached out, connected and took interest and delight in French life – though, at the end of the day, many felt that they were like ‘birds whose nests are in India’. 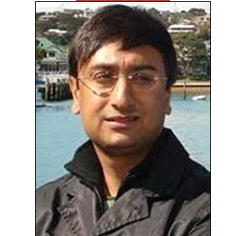 Dr Santanu Das is a literary and cultural historian based at King’s College London. 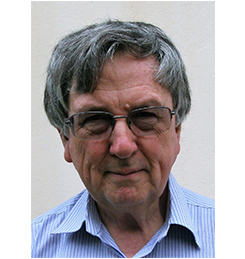 He is the author of the award-winning monograph Touch and Intimacy in First World War Literature (Cambridge, 2006) and the visual history Indian Troops in Europe, 1914-1918 (Paris, 2014). He presented 'Soldiers of the Empire' for BBC Radio 4 and the AHRC-funded documentary 'From Bombay to the Western Front' , based on his book India and First World War Culture: Literature, Images and Songs forthcoming from Cambridge University Press (2018). Through video interviews, we have captured the thoughts of academics, historians and people associated with WW1 either by history or through their studies. Rana Chhina of the United Service Institution of India discusses the Indian involvement in the First World War including both military and non-combattants and his interest in this history. Dr. Santanu Das of King’s College, London discusses his viewpoints on the World War 1 commemorations and the human-interest stories of very different cultures coming into contact for the first time. Caroline Goffin of the Salt of Sarkar Project discusses her lifetime of studying India’s involvement in the war from her young memories of the 50-year anniversary to her first trips through once undivided India. Coucillor Manula Sood, MBE is joined by her mother to discuss their memories of family involved in WW1. People of the village of Dhakla in Haryana, India share their stories of Resaildar Badlu Singh, the first Indian recipient of the Victoria Cross for his valour in WW1. Jody East and Kevin Bacon of the Royal Pavilion Museum of Brighton are joined by Davinder Singh Dhillon to discuss the interesting shared history between Brighton Pavilion and India in the First World War. Another commemorative structure, initiated by the author and built by the Commonwealth War Graves Commission is The Patcham Down Indian Forces Cremation Memorial. It records the names of the 53 combatants and non-combatants who were cremated at the Chattri. The monument was inaugurated on 26th December 2010 by the High Commissioner of India, Shri Nalin Surie and is situated in the grounds of the Chattri Memorial. 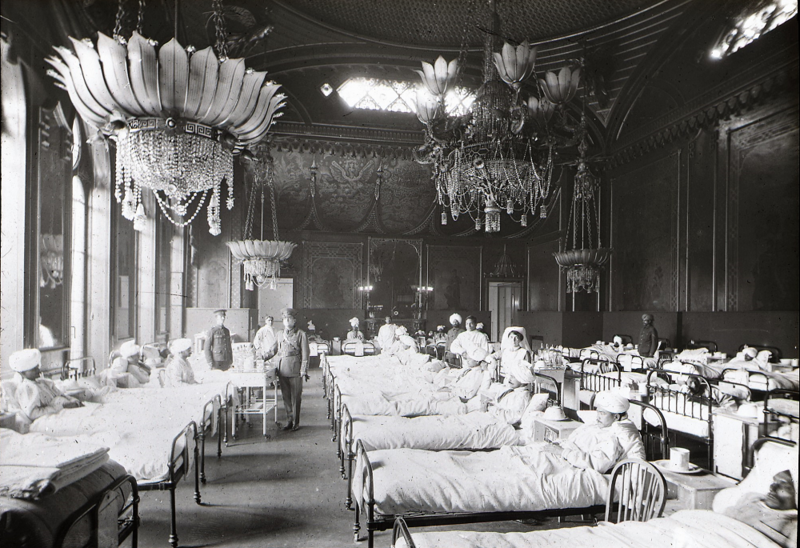 Due to its central location in the city and gateway to the Royal Pavilion, the Chattri Memorial Group hold remembrance services there to honour the wounded Indian soldiers who were helped to convalesce in the Brighton hospitals. Adjacent to the Gateway, in honour of one of these soldiers, the author Subedar Mir Dast raised the subscription required through friends and supporters for a Blue Plaque. It was unveiled by the Lord Lieutenant of East Sussex, Peter Field, in May 2016. King George had bestowed a Victoria Cross to Subedar Mir Dast in the Royal pavilion grounds in 1915 for his bravery shown in the battel for Ypres.